The Irish Haemochromatosis Association C.L.G. (IHA) is a support group for haemochromatosis patients and their families. The aim of the IHA is to raise awareness of Haemochromatosis both in the medical and the general population. Early diagnosis and treatment of this condition prevents organ damage and may even save lives. The IHA is compliant with the Charity Regulator’s Code of Compliance and the Data Protection Act. Margaret Mullett is Chairperson of the Irish Haemochromatosis Association and is a retired Chemistry/Biology teacher . She became involved with the Association after her husband, Dr George Mullett, died in June 2000. He had only been diagnosed with Haemochromatosis six weeks before his death, despite attending a specialist for an irregular heart beat for the previous six years. The family were then genetically tested for Haemochromatosis and all five adult children tested positive. This was because Margaret herself also had the two mutated genes and has Haemochromatosis. Margaret ‘s goal is to make needless suffering and premature death from undiagnosed hemochromatosis a thing of the past. Over 20,000 Irish people have been diagnosed with Haemochromatosis but there are at least another 20,000 people as yet undiagnosed . Brendan Keenan is the treasurer of the IHA. He was diagnosed with Haemochromatosis in 2005. Brendan is originally from Cavan and retired as Deputy Principal of Synge Street Secondary School, Dublin in 2012. As well as seeing to all the financial affairs of the IHA, Brendan helps to organise Haemochromatosis Information meetings, the Awareness Day and the stand at the National Ploughing Championship. Kate Geoghegan is Secretary of the IHA and has been actively involved with the Association since 2002. She was appointed to the Board in 2011 and was subsequently appointed as Secretary in 2014. Kate is a full time teacher in the PLC sector. She is married with two children and by a strange coincidence they were both diagnosed with Haemochromatosis in 2010. Leonora was diagnosed with Haemochromatosis in 2000 and has been involved in the Association since 2005. 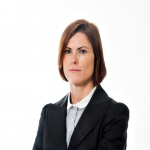 Leonora is a qualified solicitor and works full time. Dr Maurice Manning is Chancellor of the National University of Ireland and a former Senator. Maurice has Haemochromatosis and felt very lucky to have been diagnosed in time. As a board member, Maurice has been an incredible help to the IHA and has been very involved in negotiations on our behalf with several politicians including Mary Harney, James Reilly, Leo Varadkar and Simon Harris. He was a member of a working party set up in 2006 by Mary Harney to examine the nature and extent of Haemochromatosis in Ireland. Maurice was also a member of the working party set up in 2016 by Leo Varadkar to draw up Models of Care for venesection and haemochromatosis. Denise McAuliffe is from Limerick and works full time with Limerick City and County Council. Denise is a board member who has been diagnosed with haemochromatosis. She has been a great help to the IHA especially in the Limerick area. She has helped organise information meetings in Limerick and Clonmel as well as the Awareness day stand in Limerick and Ennis . Ann Campbell from Mullingar has been on the board of the IHA since her retirement from teaching. She has previously been secretary of the association. Every year the IHA has a stand for three days at the National Ploughing Championships and it was Ann who originally suggested this venue as an event opportunity to target a huge cross-section of the population. She has actively participated in manning the stand over the years. Ann has also helped with the Awareness day and helped organise information meetings nationwide. Ann Mc Grath is a board member of the IHA and has been actively involved for several years. Ann is a former teacher at the European School in Brussels and the IHA representative on the European Federation of Associations of Patients with Haemochromatosis (EFAPH). Frank Mchugh has recently joined the board of the IHA. Frank is from Cork and has just retired from the pharmaceutical industry after 40 years. 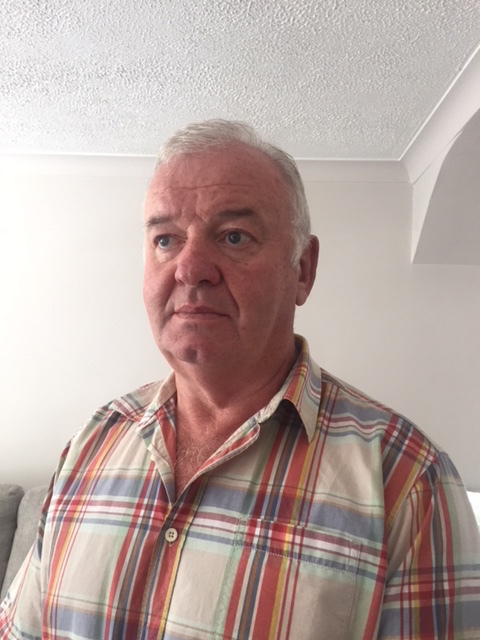 He was diagnosed with Haemochromatosis in 1998 and has been a very helpful and active a member of the IHA since the association was started.